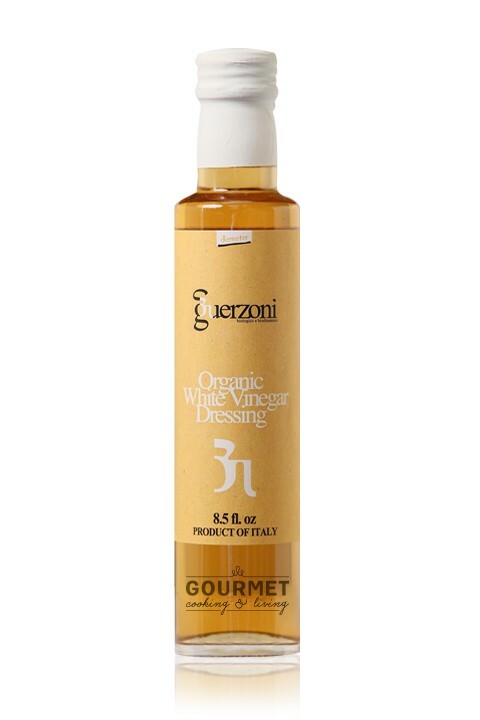 White Balsamic Vinegar differs from other similar white vinegars by the use of less invasive production methods and total absence of preservatives or food coloring. It is made entirely from organically grown grapes. It is very light and delicate, with a low acidity of 5%. Excellent for everyday use. Try using on raw veggies and seafood, especially in summer months. White grape vinegar, grape must.